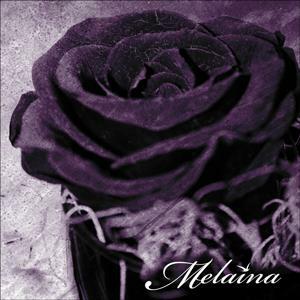 Melaina were formed in 1997 by four teens living in the southern suburbs of Stockholm. Being childhood friends and sharing similar musical visions, they instantly found each other in the process of creativity. The band emerged from the nu metal-scene that was growing at the time, but were early categorized as an odd act that didn’t quite fit together with most of their peers because of a sound that leaned towards progressive and experimental sounds while still maintaining a core of alternative heavy rock. During these early years the band went under a different name, and several demos were recorded, including one in the studio of Swedish metal act Therion. As their recognition began to grow, another guitar player joined the band, and by the early 00’s they were frequently playing live shows in Stockholm and around Sweden. The group was predicted a bright future, and a culmination was reached in 2004 when they earned fourth place in the Emergenza music festival Swedish finals, and Kristoffer received a prize for best drummer. However, instead of signing a record deal and continuing the road to success, personal issues among the members had grown too serious and the guys decided to take a break. Several years went by while the band was more or less inactive, until a new sense of stability and creative force was discovered. The name was changed to Melaina, and the new music which was created mixed the melancholy, anger and despair of earlier songs with emotions of a more positive and hopeful kind. In 2007 Melaina signed a deal with WhiteLabel/Black (Musicplace Europe) and the recording of a long awaited self-titled debut was begun at Ramtitam Studios, Stockholm. The album was finally released on September 12, 2008 and contains 13 tracks of quite a broad range of flavors. The core of the music can be described as heavy alternative rock with much emotion, sometimes with a groove. There are however currents which reveal the influences of progressive, experimental and electronical music which are a part of Melaina’s trademark of a rich and diverse sound. After so many years of playing together, these five friends have become a unique tight-knit musical act that delivers an atmospheric, beautiful, heavy and capturing style of rock that speaks to goths, metalheads, and alternative fans alike.